Consider the meditation/narrative below and arise in valour: “Two thousand years ago, our Lord was crucified. They nailed Him to the cross and for mankind He died. They laid Him in a tomb with a huge stone at the entrance. They remembered every word He said as He walked along the seashore – in three days, He will rise again from the grave in which He lay. They didn’t think anyone else could roll that stone away. On the morning of the third day, as the sun rose in the east, an angel appeared and rolled the stone away without a struggle. The angel spoke to the women who had come to see where Jesus was laid. He told them Jesus had risen and they hurried away. The keepers were all paralyzed with fear, for when they looked inside the tomb, they saw that it was empty. The stone that they thought would hinder Him had not stood in His way. 1. No matter how this year has been, the same angel that rolled the stone away from the tomb of Jesus will fight for you daily from this day in Jesus name. 2. No, “STONE” by whatever name shall be able to hinder or successfully block your rising to destiny in Jesus name. 3. You adversaries and enemies shall end up in chaos, shame and bitter confusion from this day in Jesus name. 4. Before the last day of this year, God will turn the celebration of your contenders/adversaries to weeping in Jesus name. 5. Lift up your hands and begin to worship God for the power of His resurrection. As you worship the Lord, that same power will begin to move all over you right now. Sickness will be healed and yokes will be disgraced now, in Jesus name. Give out the 2019 ODM as A CHRISTMAS/NEW year gift! 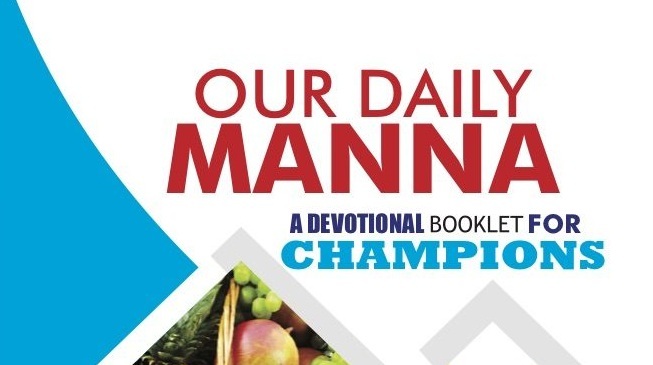 Give out 2019 Our Daily Manna (ODM) as Christmas/New Year gift items! PRAYER POINTS: Take your most loved song to God now. 1. Use the Prophetic Declarations above to pray as led. Pray about your life and ministry today. 2. Lord, thank You because Your GRACE has made me UNSTOPPABLE in Jesus name. 3. Lay your hands on page 55 of the booklet, “War Against Haman – 13” and pray the Miracle Prayer now. Next Post:ODM Daily 24 November 2018 – MY EXPECTED END IS UNSTOPPABLE! I recieve blessings and deliverance in JESUS’S CHRIST’S mighty name! !! !